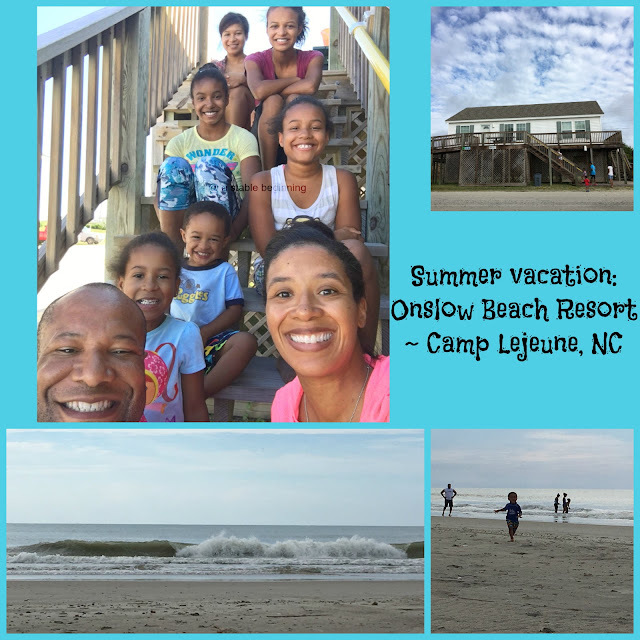 We spent a glorious week at Onslow Beach on Camp Lejeune this past week! It was a much needed vacation from all the running and busyness of life. Initially, we were going to board our dogs, Max & Mollie but the kennel wanted $$$$. More than I was willing to pay for a week. Not to mention the fact that Max kind of went a little crazy the last time he came home from there earlier this year during travel season. So, the people at the resort were able to move us to a pet friendly Osprey that was perfect! The house we stayed in was awesome! It was a handicap accessible unit so it had a wrap around ramp that is great for two year olds who need to run out some energy. Since it was handicap accessible it also had the stand up shower in the bathroom which was so much easier to shower the little's after spending the day in the sand. The beach was just what we needed. Relaxing yet fun! 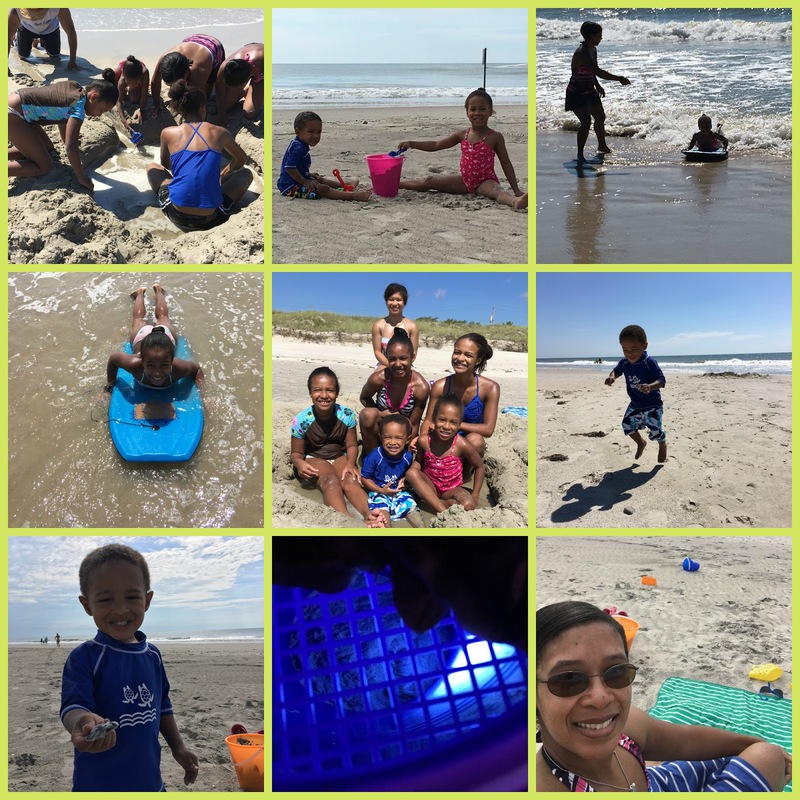 The kids had a blast hunting ghost crabs and finding fossilized shark teeth. They actually caught a ghost crab one night and they were convinced they were bringing it home as a pet. They even went as far as researching how to take care of it. Sadly it died in captivity. Mikayla is a shark teeth finding guru! She could spot them so easily and pluck them out of the sand. I think she found 30+ shark teeth. I found 0, LOL! One of the other guests found a huge one, the size of his palm, but we were not so lucky. 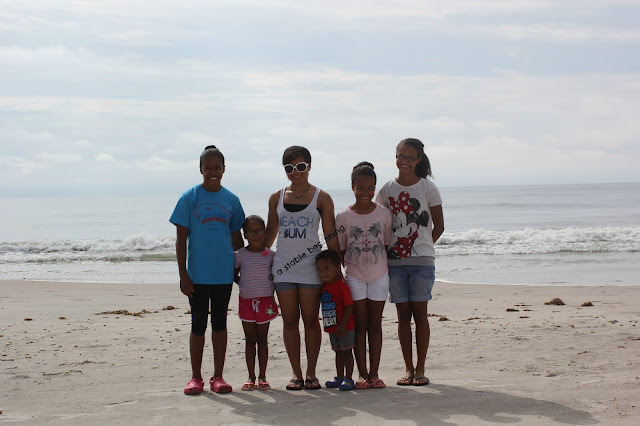 Overall, we had a relaxing week on the surf and sand and watching the last of the Summer Olympics at night. We all look forward to going back next year!